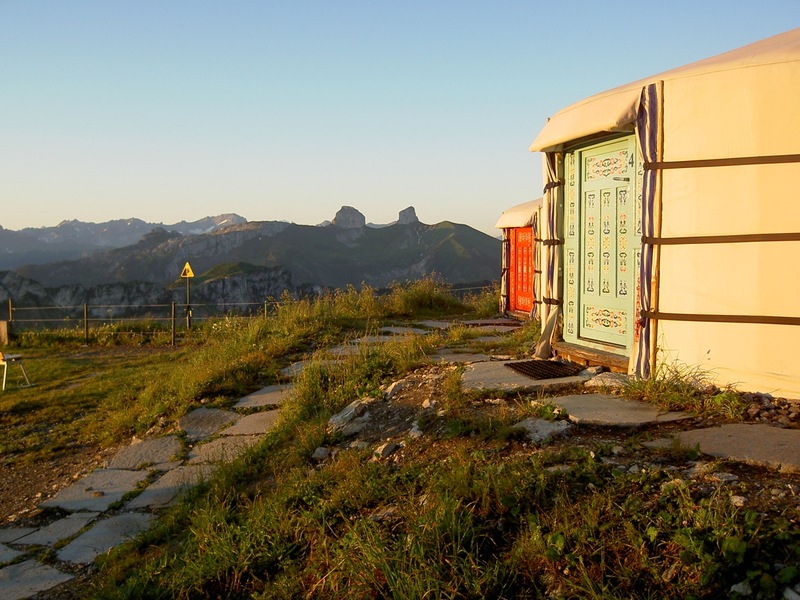 We ease into summer, and enjoy a lovely weekend up in the mountains in the most unusual housing — not the usual weekend chalet this time! The weather starts out ghastly, revealing the Alps in all their full glory the following morning, in the early sun. Wonderful days of walking with lovely friends, and happy children feeding marmots. Bliss for two days in the Rochers-de-Naye! 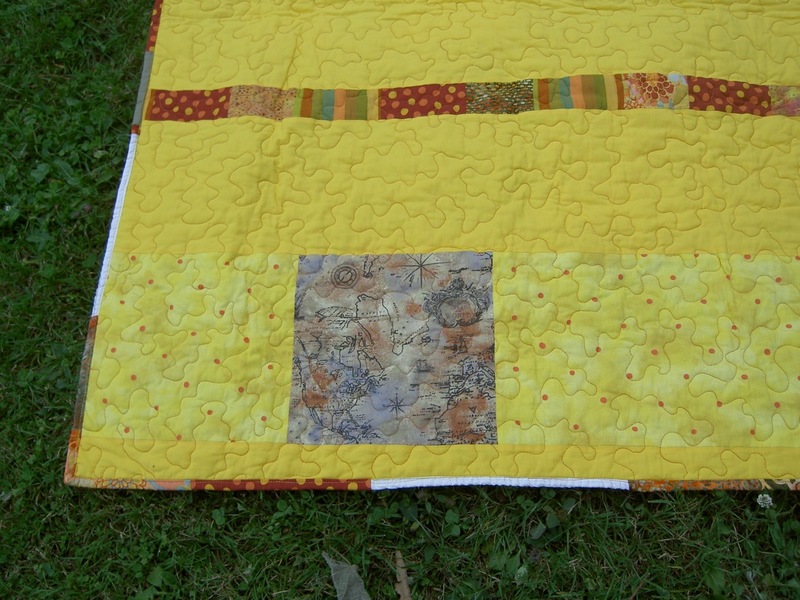 Before that, back at the sewing machine, I finished Ms C’s quilt and never quite got round to taking a photo of it. In the park, it looks rather inviting on the grass — I just want to settle there with a nice book. 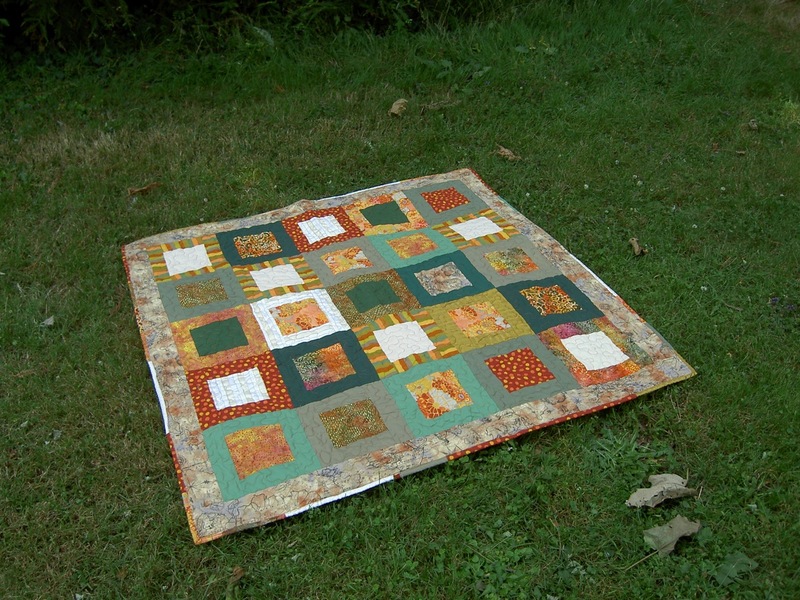 Then, having got that out of the way, I settled down yesterday to make a quilt for two lovely friends, Mr C and Mr L who are getting married this week in Washington, as they are hoping to adopt a child. 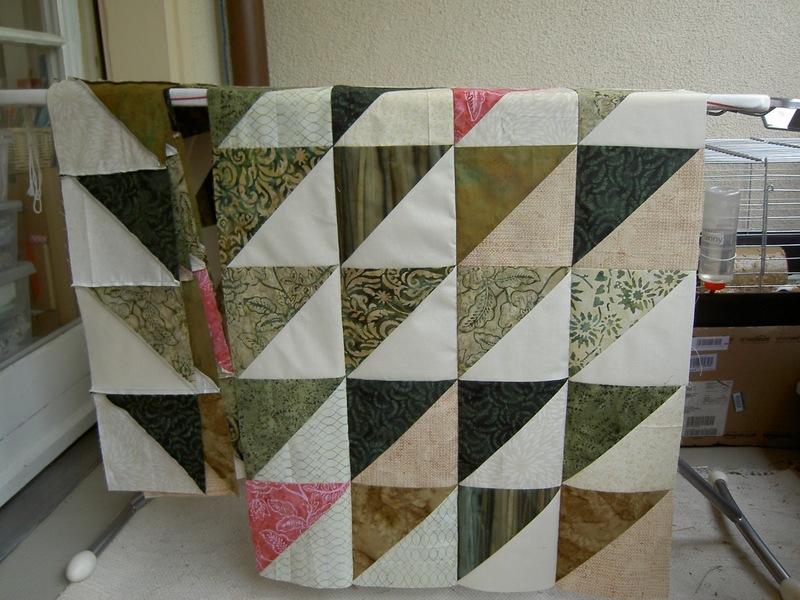 So I only have a few days to make a wedding quilt, before hopefully making a baby one. So I pulled out my lovely batiks bought in New York, and chopped and sewed with happy abandon. It’s working out a bit smaller than I had hoped — so I suppose it will have to have some sort of border?